his brother in law Robert Eastaway was also at the premises working as a tailor. Robert later became a mariner. On the 1851 Census he was registered at no 5 Chapel Street where he ran a tailor's shop. At no 6 there were two hairdressers, a retired shipwright and a Medical Practitioner listed as lodgers. No 7 was a private dwelling and no 8 a Veterinary Surgeon. 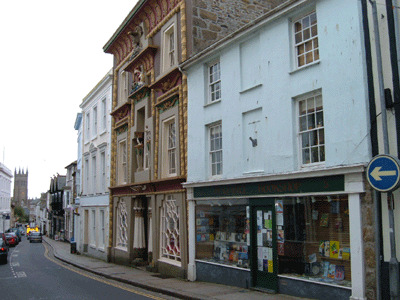 Nos 3 and 4 were inhabited by the Lavins, John a mineralogist at no 4 and his son Edward a printer and bookseller. In 1864 in the Coulsons Directory John was listed under no 8 as a Tailor and Outfitter the owner being Henry Coulson Cornish a Corn Merchant. 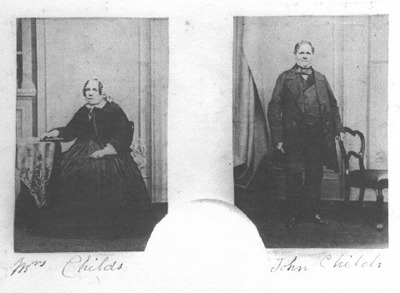 It appears that the numbering of Chapel Street varied over the years, so it is rather uncertain as to whether John Childs was actually living or trading in Egyptian House or one of the properties next door. Although in 1861 he was definitely trading in no 7.